The camp is on the edge of a forested peninsula in Sekwana. One of the remotest and least visited parts of the delta, it’s reached by air with a landing strip just 15 minutes away. A popular destination for sports fishers due to the annual barbel run, the camp has panoramic views overlooking the seasonable floodplains which make the Okavango such a unique safari destination. Naturally-growing Giant Marulas, Sycamore Figs, and Rain Trees provide ample shade, while a wooden walkway leads to a swimming pool and sun loungers with further views over the floodplains. Kadizora Camp’s accommodation is made up of eight luxury tents and four additional standard tents. Spacious and classically-styled, they boast both electricity and en-suite bathroom facilities, while custom-made tents also form the nucleus of the camp’s shared lounge, reception and dining areas. Each of the well-proportioned tents at Kadizora combines secluded positions with proximity to the camp’s public areas. Covered verandas provide a sheltered outdoor space in which to relax in private, while wooden floors and hardwood furniture provide all the comforts of a hotel, including a dressing/writing table and armchairs. Each tent also has en-suite bathroom facilities, with feature bath, his and her vanities, and outdoor shower. An inviting open central deck and fire pit is the focal point to the public areas, with the bar, lounge, reception and dining spaces set in a horseshoe-shape around them. The swimming pool is just a short stroll away. Tea and coffee are available throughout the day in the dining tent, in addition to a high tea of sandwiches and cakes served every afternoon. The freshly-prepared main courses at meal times are served as a buffet, with plated starters and deserts. The Okavango Delta provides a range of stunning African landscapes, from semi-desert to marshland, home to a large proportion of the continent’s most iconic species. The annual flooding of the delta attracts wildlife from far and wide, including estimates of up to 200,000 large mammals. The Big Five, as well as giraffe, hippo, cheetah, and hyena, are just some of the species regularly spotted. 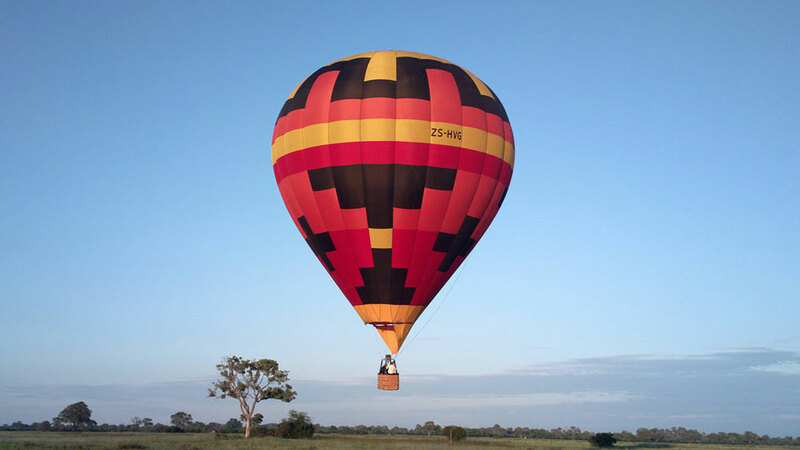 Kadizora is the only camp anywhere in the delta which offers sunrise hot-air balloon flights. Ground level wildlife-spotting opportunities include open vehicle safaris and guided bush walks along known elephant paths. Excursions by dug-out mokoro canoes make for an unforgettable way to explore the lily-clad channels that abound with bird and other wildlife, while fishing expeditions can also be organized on request. Want to see Kadizora Camp as part of a trip? Enquire today to let us help build your holiday.